Address: 221 Rangoon Road, Singapore 218459. 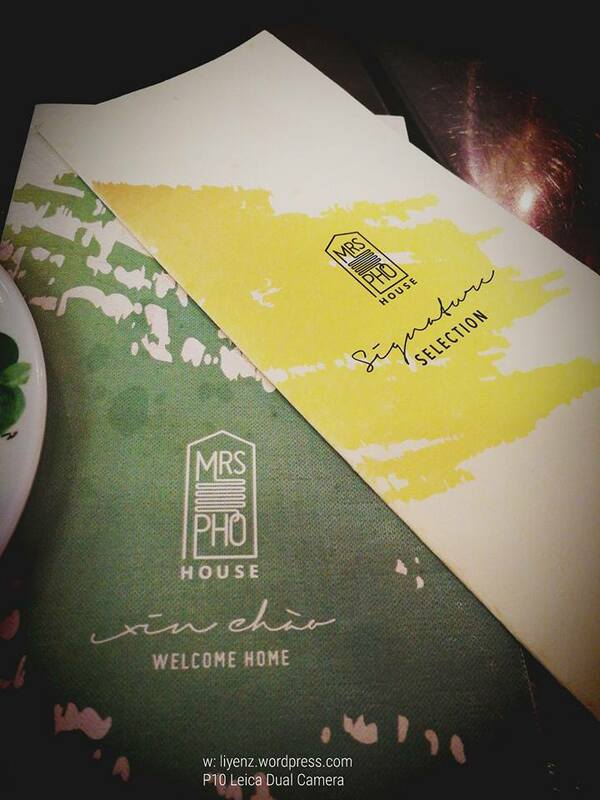 This is the second branch of Mrs. Pho, the Vietnamese cuisine restaurant. It is called Mrs. Pho House. With the nice decorated interior of the restaurant, it tends to go on slightly above medium class price range and choices of food. Here, the menu is different, however, the basic ones which you can find at the Beach Road are there. This branch serves more dishes which are good for those who want to try more Vietnamese food with a big group of people. We went to the Rangoon’s branch for the Feb 5 free pho’s offer. 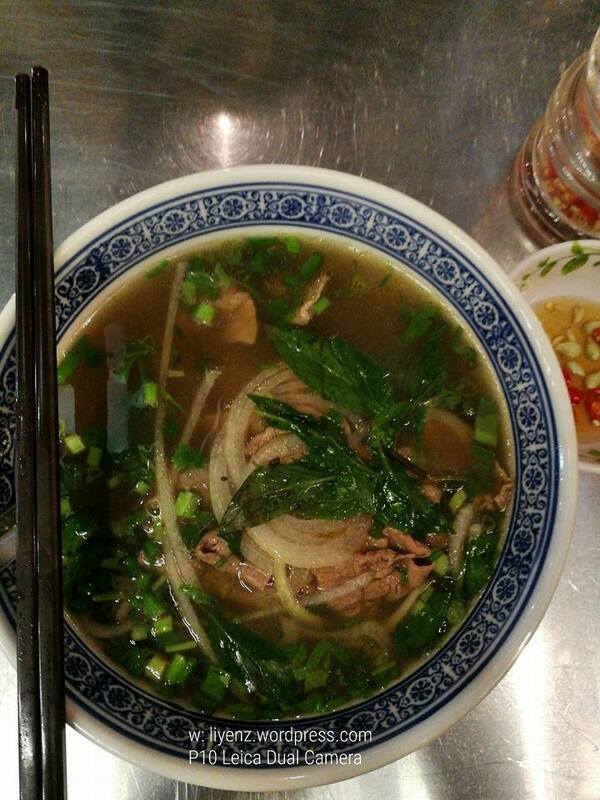 The portion of the pho, the sliced meat and vegetable and the food quality remained same even it was free. It has no different between the two branches. The soup broth is delicious, sweet and not oily. Again, if you like adding the lime juice, it gives extra kick. I like their original broth. 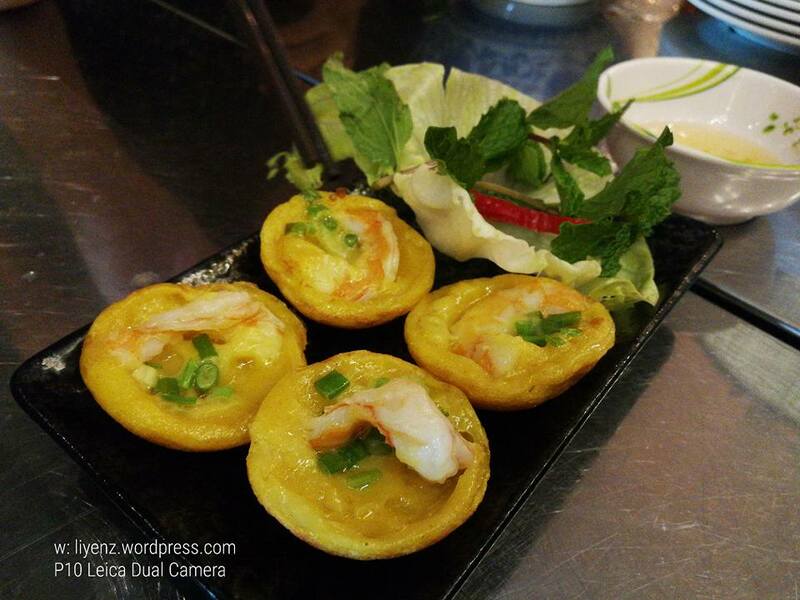 We specially ordered it to try, just nice for four of us, it is the Vietnamese mini pancakes with prawns. It is quite uniquely tasted for me. Additionally, we order the Vietnamese crepe to try. It is simple delicious and the portion is very generous. 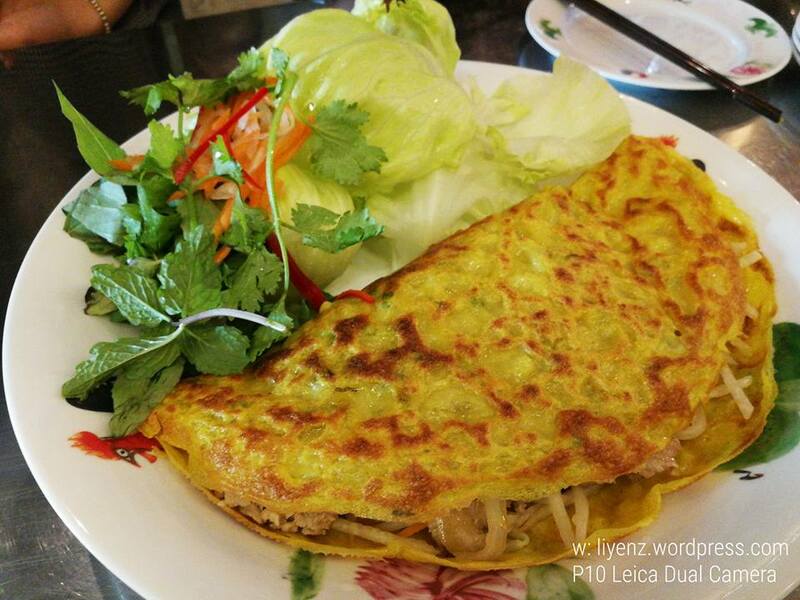 It consists of meat, either chicken or pork which is well marinated, wrapped with Vietnamese style crepe, made mostly of eggs. Besides meat, they put plenty of beansprouts and onions. Dip it with the sauce, it is nice and well tasted.